National League side Aldershot Town have signed Fulham goalkeeper Andrew Dawber on a one-month loan deal. The 20-year-old will provide cover for Dan Thomas while Shots number one Phil Smith recovers from a groin strain. Dawber signed a one-year contract with Fulham this summer, joining their under-21 squad, after leaving League Two side Accrington Stanley. 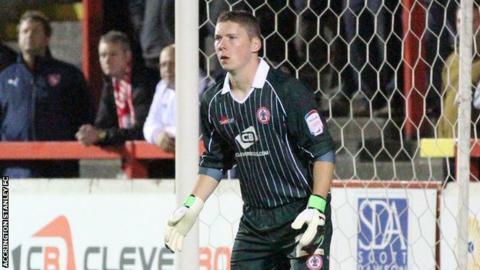 He made a total of six senior appearances for Stanley after making his first-team debut in 2012. Are USA set for another hammering at the Solheim Cup? Read more on Are USA set for another hammering at the Solheim Cup?